Pair of antique hand-colored aquatints by C. B Newhouse - marked C. B Newhouse, Delt. 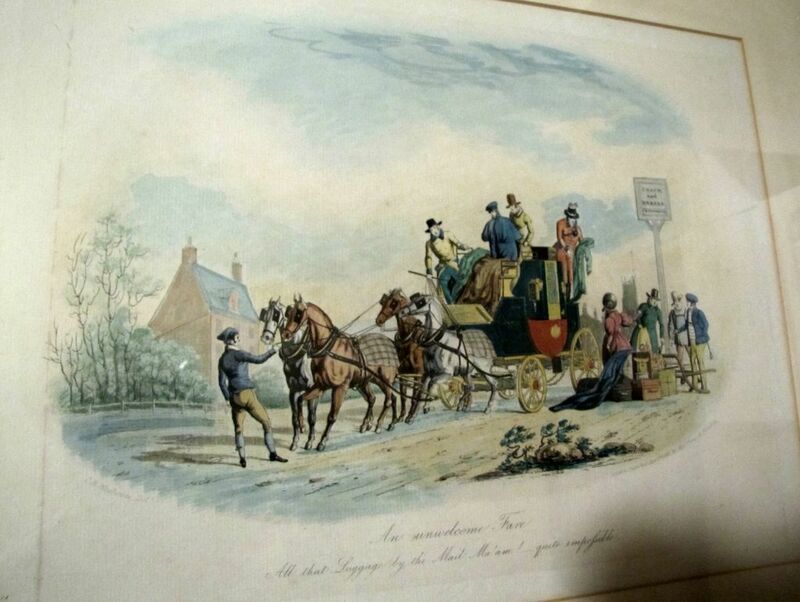 and London: Published Jan.y 2nd, 1845 by Mefs.rs Fores, 41 Picadilly. 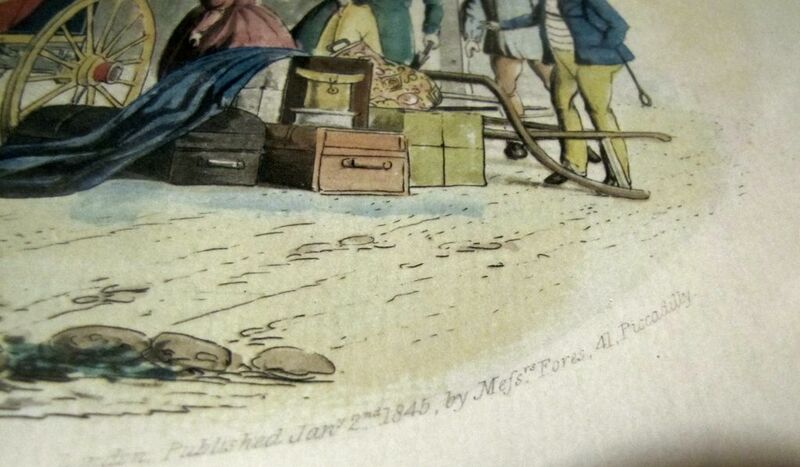 One print is titled 'Going to the Moors' and the other is titled 'An Unwelcome Fare' - All that luggage by the Mail Ma'am! Quite Impofsible! 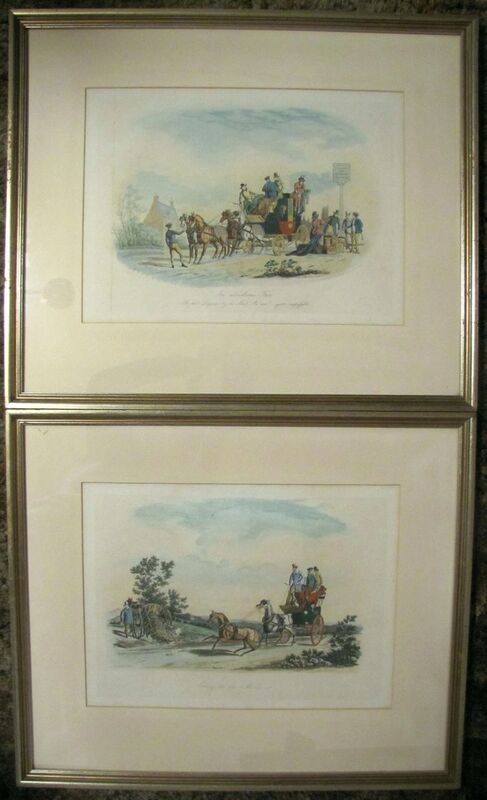 Both prints are in the original frames which are dark green with gold paint and each measures 22 1/2" by 19 1/4" with the image size being 14 1/4" by 10 1/4". The papers used have a watermark on them and both images have a block impression on them. 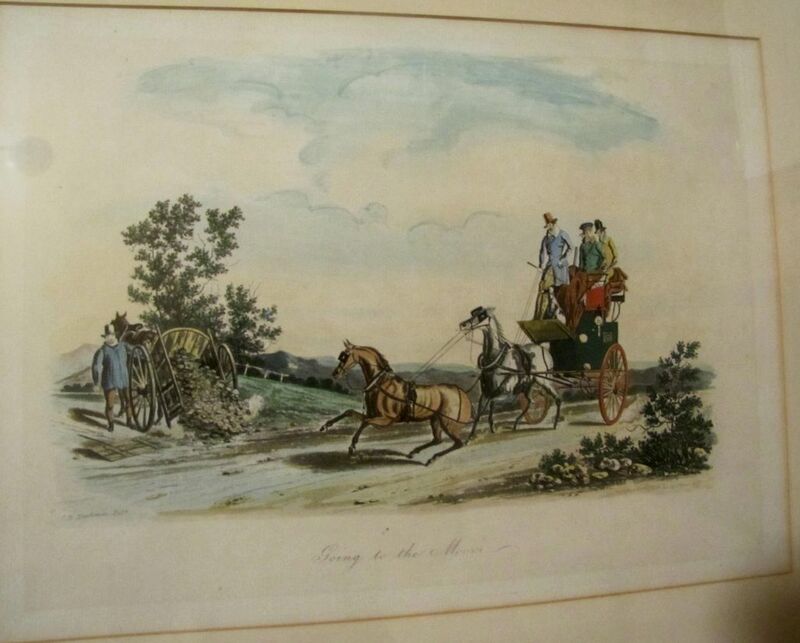 These are antique prints from The Roadsters' Series of hand-colored aquatints by C.B. 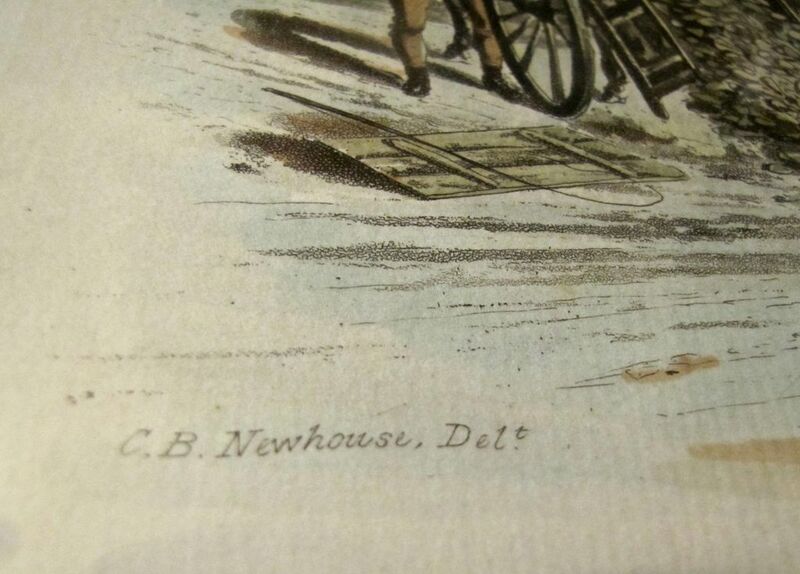 Newhouse, an artist who confined himself almost exclusively to scenes of mail and stage coaching and sport driving.